5.5.3. 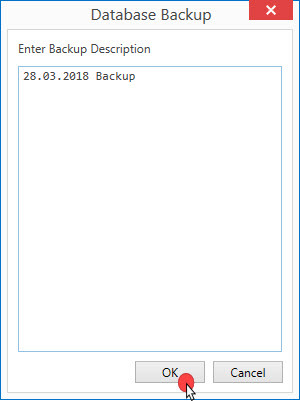 How to Take Backup? To take backup in SambaPOS, it is necessary to login with the password which has administrator authority. On the navigation screen, go to Manage > Settings > in here click on Database Backups link. In this field previously taken backups are displayed. First of all, it is necessary to configure the settings. 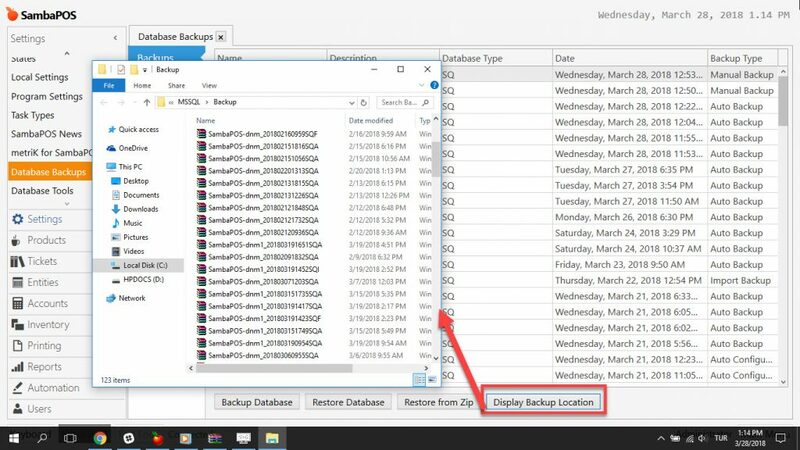 Click on Settings section and determine the folder that backups will be saved into. 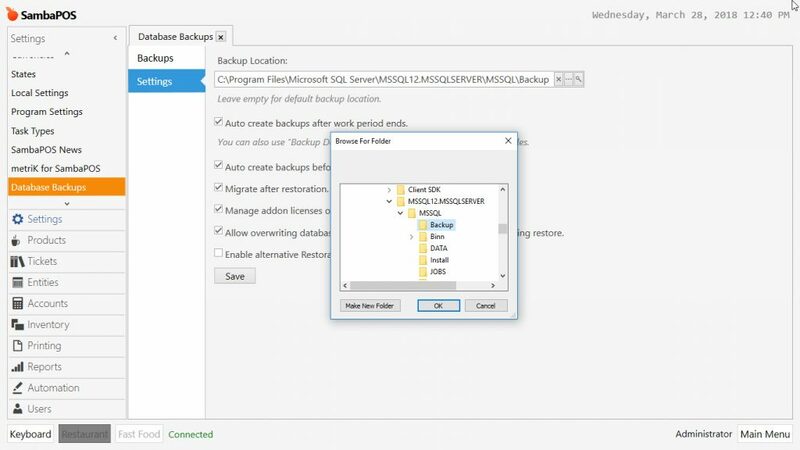 It is highly recommended to choose Backup folder which SQL Server exists. So that it won’t cause any reading- writing authorisations. 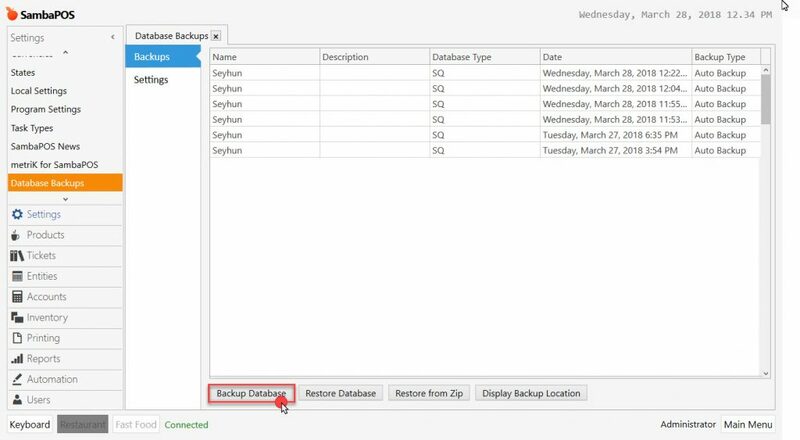 After selecting the folder, to take backup go to Backups section and click on Backup Database link. If desired, it is possible to add description or leave it blank and click on Ok button. You will see “Backup Created Successfully” message. 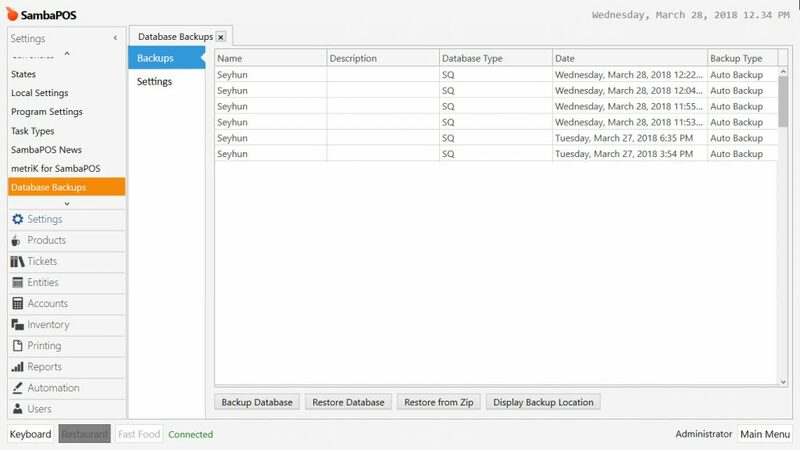 In this field, previous backups can be seen with their dates. According to need, it is possible to reach to backup folder by clicking single button and transfer them by copying into another device and provide security of them. 5.5.1.b. How to End Work Period?